(831) 620-0980 NW Corner of 6th Ave & Mission Carmel by the Sea, CA 93921 (Next to Grasings Restaurant) sylvieuniqueasyoucarmel.com sylvieuniqueboutique@gmail.com On 6th Avenue! Ooh la la! 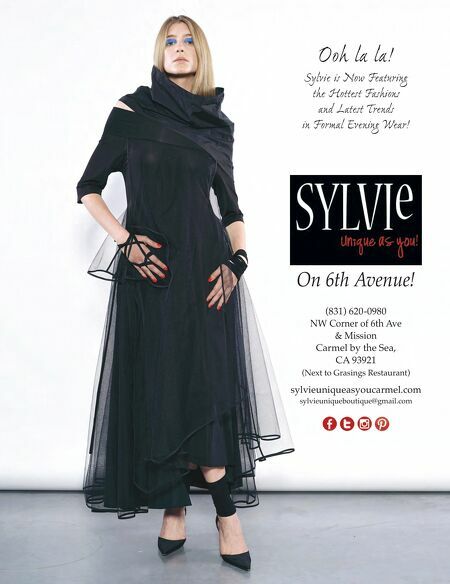 Sylvie is Now Featuring the Hottest Fashions and Latest Trends in Formal Evening Wear!